When you look at your photographs, do you feel that they lack punch and don’t pop enough? A lot of us do. The photographs that come straight out of the camera are often quite dull and require additional steps to make them look compelling. These steps can range from changing the default picture settings on your camera to thorough post-processing on a computer. While we recommend a dedicated post-processing workflow so you retain complete control over the process and get creative at the same time, there are other methods too that you can try depending on how much time and effort you want to put into it. Let’s look at some ways to make your photos pop! An image that pops! Photo by tpsdave on Pixabay. Every camera has built-in settings that you can adjust to fine tune how a photograph will look after you’ve captured it. 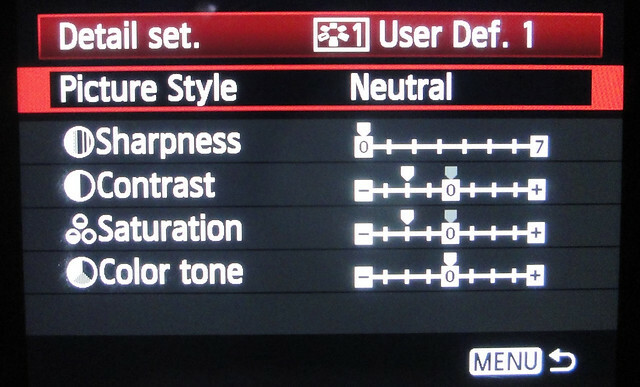 These settings include saturation, contrast, sharpness, color tone, etc. They can be found in your camera menu – it is called ‘Picture Style’ in Canon cameras, ‘Picture Controls’ in Nikon, ‘Creative Style’ in Sony cameras, or has a similar name in other camera brands. There are often presets like landscape, portrait, neutral, vivid, etc. with predefined settings to go with a certain situation or produce a certain look. You can always create your own custom preset too by adjusting those settings to your liking and saving it. Using image styles can widely enhance your straight-out-of-camera shots. Post-processing opens limitless opportunities for you to edit your photos the way you like. Photo by Unsplash on Pixabay. Using a photo-editing software is the most powerful way to give the desired look to your photo and to not only make your photos pop quickly but also have the ability to dive deeper and get more creative in your post-processing. Of course, you will need to learn the software but once you are proficient with the basics, you can truly get the most out of your photos. Lightroom and Photoshop by Adobe are two of the most popular photo-editing software packages out there. Others include Photoshop Elements, On1 Photo, Corel Aftershot Pro, Capture One Pro, Optics Pro, GIMP (free) and many others. You might want to look at this comparison we did some time back to find out the best photography software. Post-processing can bring out better shadow and highlight details, colors, contrast, vibrancy and sharpness, among many other improvements. Photo by Maja Dumat. Post processing can often be challenging in the beginning. If you are unsure about how to approach a photo when post-processing and want to know how, why and when to use which adjustments, you should check out our in-depth guide on post-processing best practices, called The Ultimate Guide to Fundamental Editing, over at Photzy. Click here to learn more. Presets are the quickest way to make your photos pop. One click is all it takes, and your photo takes on a different look altogether. 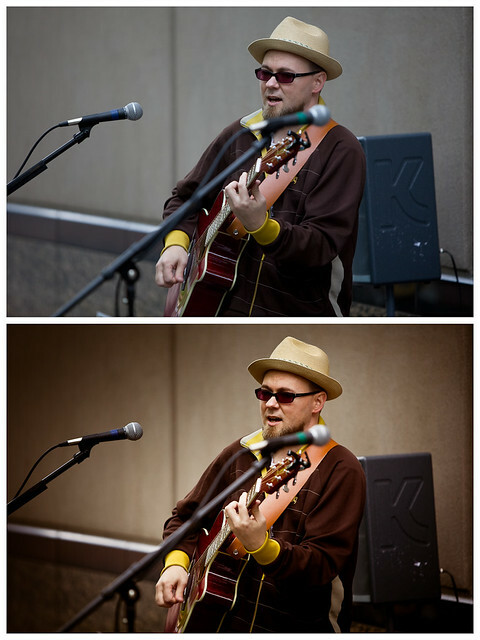 Lightroom presets are widely available and so are Photoshop actions. Presets are a sequence of adjustments that are applied to your photo and can range from very subtle changes to really drastic ones depending on your choice. There is no one-size-fits-all when it comes to presets. For example, a preset to enhance landscape shots may not work well with a portrait. Choose a preset that is intended to work with the type of photograph you are using it for, or you can go with a combination of presets and stack them up for a progressive improvement over the original image. You can use a mobile device to not only take photos but also edit photos taken on your other cameras. Photo by meineresterampe on Pixabay. Mobile devices (phones and tablets) these days have become quite capable at serious photography and photo-editing. They pack cameras that can produce stunning photographs, and have sophisticated apps to help you edit your shots. While a phone’s screen might be too small to work without straining your eyes, tablets offer you a larger screen size and are definitely more suited to photo-editing. If you are traveling and want the option to edit your photos on the go, you can choose the lightness of a tablet to edit shots taken on your DSLRs without having to carry a laptop separately, by transferring photos to your tablet via a cable or over Wi-Fi. Adobe Photoshop Express, Pixlr, Snapseed and Flickr are some of the apps that you can try. You can have a look at some of the top photo editing apps for mobile devices here. Changing the perspective is a quick and effective way to change your composition. Photo by pixel2013 on Pixabay. Well, this isn’t a way to make your photos pop, per se, it goes a long way in helping you capture shots that can indeed be truly extraordinary. With a better composition that already packs punchier elements, it will be much easier for you to enhance your shots by using any of the above four methods. Composition elements like lines, shapes, colors, balance, and contrast coupled with previsualization, juxtaposition and perspective can give you better photos to begin with before going in to post-processing. If composition is something you would like to get better at, you should check out the guide on Advanced Composition over at Photzy. Click here to learn more. As mentioned above, a dedicated post-processing workflow is the most powerful way to enhance your images, but it can be quite overwhelming when you are just starting out with it, if you don't know where to start and how to proceed. If all this sounds familiar, then we have a solution for you. You don't have to fumble along till you get a decent handle on photo-editing. One of our best-selling guides at Photzy, The Ultimate Guide to Fundamental Editing contains step-by-step post-processing workflow to help you master the fundamentals of photo-editing. With detailed sections on Lightroom, Elements and Photoshop separately, you will learn how, why and in what order to use different adjustments as part of a systematic workflow to produce great-looking photographs efficiently and consistently. Click here now to check it out.